Die diesjährige Tagung des Vereins Digital Humanities im deutschsprachigen Raum (DHd) wurde mit sehr viel Engagement von Elisabeth Burr (Romanistik) und Gerhard Heyer (Informatik) in Leipzig organisiert. Sie fand zentral in der Stadt auf dem Campus Augustusplatz statt. Mit ca. 460 angemeldeten Teilnehmern war sie extrem gut besucht und es stellt sich unwillkürlich die Frage, ob und wie diese Entwicklung der Teilnehmerzahlen sich in Zukunft fortsetzen wird. Zum Anstieg der Teilnehmerzahlen trugen sicher auch die vielen Workshops im Vorfeld sowie der EADH-Tag bei, die am Montag und Dienstag stattfanden. Und es hätten sogar noch mehr Teilnehmer sein können. Einige exponierte Vertreter der Digital Humanities in Deutschland, die zudem in Leipzig arbeiten und wirken, waren leider verhindert oder organisierten selber parallel eine Tagung und hätten zusammen mit ihren Arbeitsgruppen sicher das Treffen noch zusätzlich bereichern können. Sowohl die Eröffnungskeynote von Katharina Anna Zweig (TU Kaiserslautern) als auch der Schlussvortrag von Daniel A. Keim (Univ. 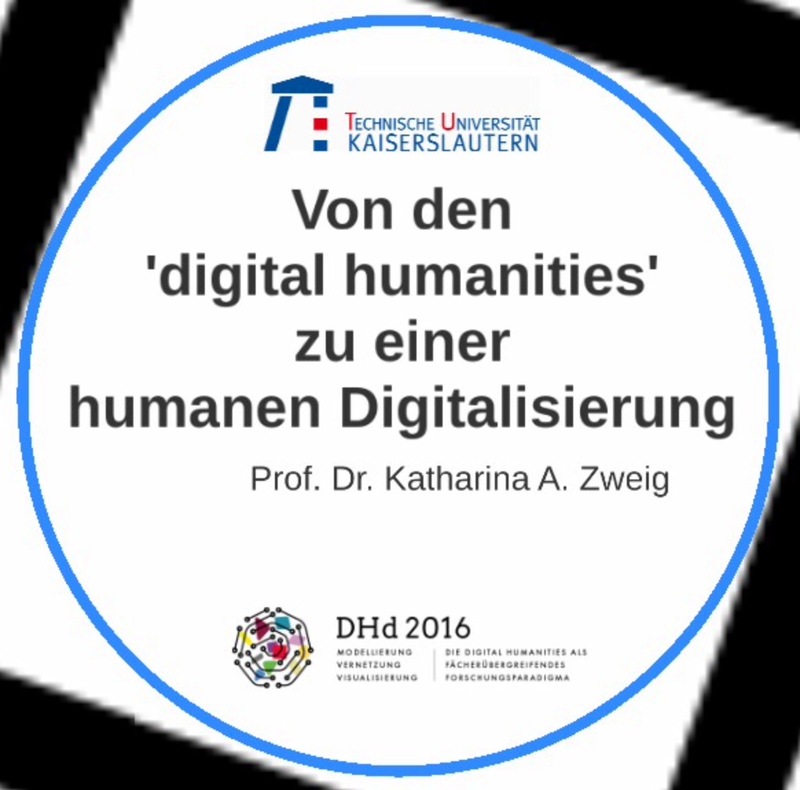 Konstanz) kamen mit ihren kritischen Fragen und der Problematisierung relevanter Aspekte der Digital Humanities gut bei den Zuhörern an. In fünf Parallelsektionen wurden von Mittwoch bis Freitag dann durchweg (zumindest für die von mit selber besuchten Sektionen kann ich dies sagen) qualitativ gute und interessante Vorträge sowie Posterpräsentationen geboten, die von einer sehr lebendigen DH Community in den deutschsprachigen Ländern zeugen. Einen detaillierten Überblick dazu gibt das Tagungsprogramm, das man unter der Adresse dhd2016.de/boa.pdf (8 MB) zusammen mit den Abstrakts herunterladen kann. Die nächste Tagung des DHd findet vom 13. bis 17. Februar 2017 in Bern statt und der Verein folgt damit dem alternierenden Prinzip der Tagungsvergabe in den deutschsprachigen Ländern. Wen man nicht in Krakau im Juli bei der DH2016 trifft, den wird man also spätestens nächstes Jahr hoffentlich in Bern wiedersehen. HistoInformatics2016 – the 3rd International Workshop on Computational History will be held on July 11th in Krakow, Poland in conjunction with the 2016 Digital Humanities conference. The HistoInformatics workshop series brings together researchers in the historical disciplines, computer science and associated disciplines as well as the cultural heritage sector. Historians, like other humanists show keen interests in computational approaches to the study and processing of digitized sources (usually text, images, audio). In computer science, experimental tools and methods stand the challenge to be validated regarding their relevance for real-world questions and applications. The HistoInformatics workshop series is designed to bring researchers in both fields together, to discuss best practices as well as possible future collaborations. Traditionally, historical research is based on the hermeneutic investigation of preserved records and artifacts to provide a reliable account of the past and to discuss different hypotheses. Alongside this hermeneutic approach historians have always been interested to translate primary sources into data and used methods, often borrowed from the social sciences, to analyze them. A new wealth of digitized historical documents have however opened up completely new challenges for the computer-assisted analysis of e.g. large text or image corpora. Historians can greatly benefit from the advances of computer and information sciences which are dedicated to the processing, organization and analysis of such data. New computational techniques can be applied to help verify and validate historical assumptions. We call this approach HistoInformatics, analogous to Bioinformatics and ChemoInformatics which have respectively proposed new research trends in biology and chemistry. The main topics of the workshop are: (1) support for historical research and analysis in general through the application of computer science theories or technologies, (2) analysis and re-use of historical texts, (3) visualisations of historical data, (4) provision of access to historical knowledge. HistoInformatics workshops took place twice in the past. The first one, HistoInformatics2013, was held in conjunction with the 5th International Conference on Social Informatics in Kyoto, Japan in 2013. The second workshop, HistoInformatics2014, took place at the same conference in the following year in Barcelona. Our objective is to provide for the two different research communities a place to meet and exchange ideas and to facilitate discussion. We hope the workshop will result in a survey of current problems and potential solutions, with particular focus on exploring opportunities for collaboration and interaction of researchers working on various subareas within Computer Science and History Sciences. •	formatted according to Easychair paper formatting guidelines (http://www.easychair.org/publications/?page=1594225690). •	original and have not been submitted for publication elsewhere. •	at the workshop’s Easychair page: https://easychair.org/conferences/?conf=histoinformatics2016. Full paper submissions are limited to 10 pages, while short paper submissions should be less than 5 pages. Submissions will be evaluated by at least three different reviewers who come from Computer Science and History backgrounds. The accepted papers will be published on CEUR Workshop Proceedings (http://ceur-ws.org/). 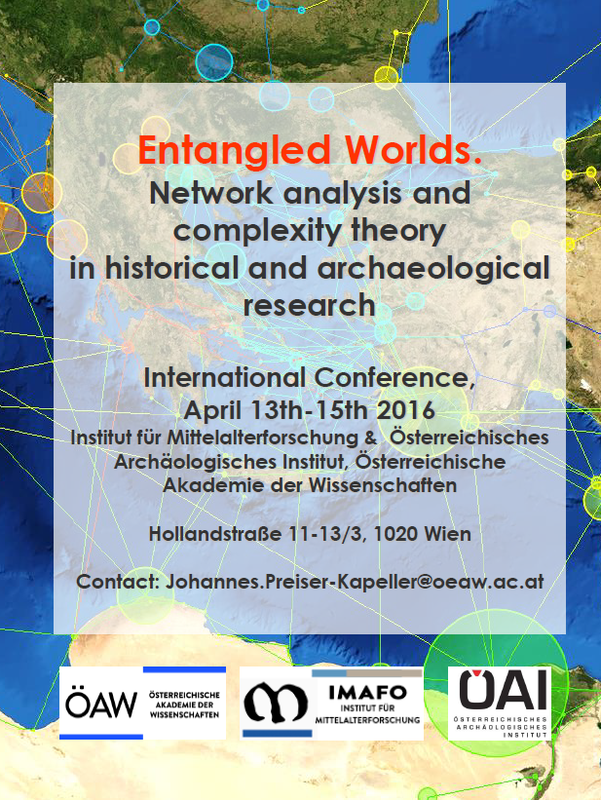 Presenters and participants are expected to cover their travel and accommodation costs. Ort: Göttingen, Tagungszentrum an der Historischen Sternwarte), Geismar Landstrasse 11, 37083 Göttingen. Unkostenbeitrag für die Kaffeepausen: 15 Euro.